Where do I begin? Day one we flew out to Salt Lake City. By "we" I mean, Kerry (one of my downline and her Mom). We went straight to Salt Palace Convention Center. We walked in and saw this long line of women. I didn't think much of it until I saw how long the line was. As some of you know I worked as a general manager at a movie theater and lines of customers don't surprise me. Especially if it's for a new opening movie. This was like no other line I have ever seen and I've worked many opening day blockbuster movies. We tried to see where it ended and then decided getting in the line would take us hours to get into the Memento Mall. Memento Mall is basically Stampin' Up! 's version of a store. We heard that some demonstrators waited in line for 3 1/2 hours. We decided lunch was more important. So off we went to find a restaurant. After lunch we ventured back into the Convention Center. Kerry and I were completely surprised that the line was basically gone. We waited only 5 minutes. We bought some goodies which I will share with you soon. I need to take pictures. Stampin' Up! gave each demo a bag filled with the new catalog, 3 new stamp sets, Fall Catalog Sampler (you will receive this soon if you are on my "snail mail" mailing list), pins commemorating the event, pen, and program. First I will say that the catalog is FANTASTIC! 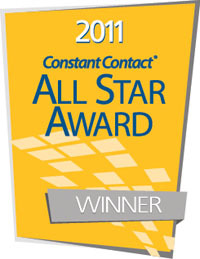 If you would like to reserve a copy of this award winning publication please contact me. For all the hostesses who received an invite in the mail to attend my Hostess Appreciation Night on Monday the 11th please RSVP to let me know if you are attending. I've heard from many of you and thanks for getting back to me. Okay back to Convention details. The presentations were fabulous and I learned new techniques. It was so much fun to learn new ideas and I can't wait to share them with you. If you were not one of my hostesses this year I will be having a stamp camp on Aug 17th from 12-3 come by and pick up your copy of the new catalog. Please let me know if you are coming. More details are on my event page. I couldn't get over the 6000 demonstrators that attended the Convention. So many people who enjoy stamping. Everyone is friendly and nice. Stampin' Up! 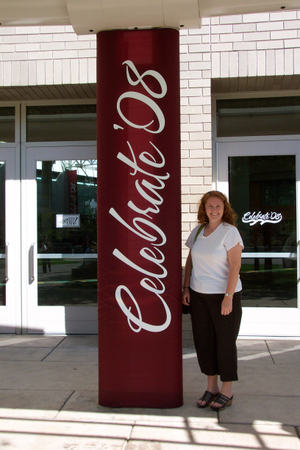 employees were so upbeat and excited that we all were so excited to be there. Stampin' Up! made several announcements at Convention with the biggest announcement that SU! 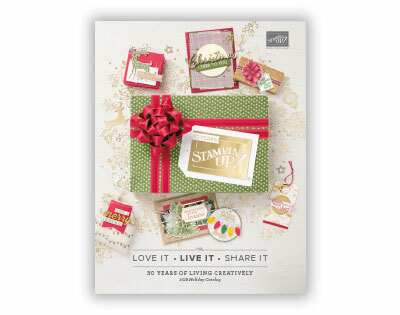 will now be carrying Sizzix Big Shots for Stampin' Up! Starting Sept 1st. This is a die cut machine. I'm so excited. I can't wait to show you all the cool things it can do. Shelli (SU! Cofounder and CEO) demonstrated this new item herself. It was amazing. Click here for BIG SHOTS PDF. SU! will also be introducing Phase II of its Decor Elements product line. This will include more color choices and designs. SU! will be having a special August promotion too! 10 Stamp Sets from the new catalog are going to be 15% off. These are brand new sets. I've never seen them do this....AWESOME! Click here for the Flyer. You can see the sets on-line Aug 11th via my SU! website or come to one of my events and pick up your own copy! SU! will also be having a recruiting special this month! Have you ever thought about being a demo? 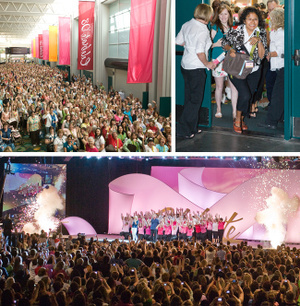 How would you like to attend Convention and spend 4 days learning new ideas, techniques and meeting 6000 other people just like you? Do you want to go with me to Convention in Utah next year? Do you think this would be a fun way to earn extra cash...Christmas is coming? If you have ever even considered it and want to ask me more detailed questions please just let me know. You don't have to start a business like I am you could be a hobby demo. This means you make the quarterly minimum of $300 yourself or take a couple of orders from friends or family. If you have had a successful workshop in the past and people enjoy stamping with you that's all you need to get started. The opportunity is yours. It was for me one of the best choices I've ever made. I've met life-long friends from stamping. Oh and by the way, you don't need to know all the techniques before signing up. I will be here to guide you the whole way. I have special meetings for just my downline. We learn new techniques and give each other support and of course we swap. We even had an after Convention meeting this afternoon just so we could share all our swaps with those who didn't attend convention. It was great sharing all the exciting details of this past week. Okay you read this far now you want to know what the special is right? Okay here it is: From Aug 11-Oct 11th if you sign up at the regular starter kit price of $199 SU! will give you any stamp set you choose in the new Fall & Winter catalog. It's your choice. I'm gonna make this an even sweeter deal. If you join during this promotion I will also give you a free stamp set of your choice but only after you reach your first quarterly minimum of $300. Once you take a look at this new catalog you will see how easy it will be to reach your first $300. I actually wrote my wish list last night on the plane. It's so long that I'm too scared to add it up!!! It's 2 pages!!!! Like I said before, this catalog is fantastic. Update: SU! is offering 3 types of starter kits at $99 beginning Aug 11th!!! For more details click here or read post above! I know you are gonna love all the new items. Some of the previous mini catalog items are back too! Like Tart-n-Tangy, Bloomin' Beautiful, and sets from last year's holiday mini catalog!!! Can you tell I'm still pumped from Convention? On the last day of Convention as a thank you from UPS they gave us all a brand new stamp set. The set is the new Ronald McDonald Charity Stamp set. SU! donated $125,000 last year to Ronald McDonald House. Ronald came to our Convention to pick up the donation check! He was very thankful! As you can imagine UPS is kept very busy with our orders. 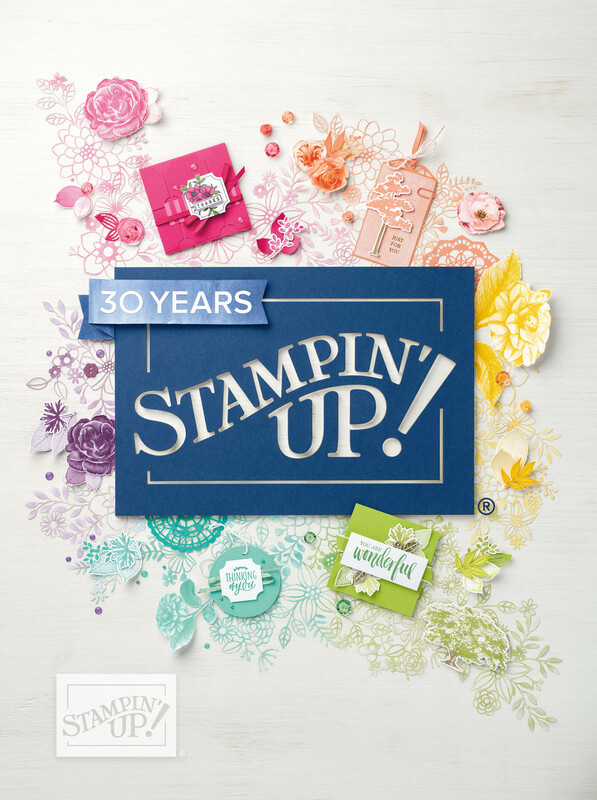 Did you know that 4000 orders are shipped every day from Stampin' Up!? During Sale-a-Bration 125,000 orders were shipped. That's only a 2 month time period. Well I'm sure your tired from reading this post. The longest post I've ever written. But remember it was my very 1st Convention and I've been a demo since 2004! I can't believe I missed the past 4 years!!! Never again!!! This was too much fun! I will leave you with a picture of the centerpiece of our lunch table on the first day....mmm good!